Your children’s safety is one of Pink Bows Child Transportation's top priorities. As such, we want to acquaint you with our safety policies concerning you, your children, our drivers, and our vehicles. The driver is in charge while children are in the shuttle and his/her direction regarding safety must be followed at all times. Only authorized personnel and registered children are permitted to ride the shuttle. Children will remain properly seated (facing forward keeping feet on the floor in front of them) at all times while shuttle is in motion. The driver may assign seats if necessary. The shuttle will stop at pre-arranged destinations only. Seatbelts must be worn by children at all times and may be removed when the shuttle comes to a complete stop. No fighting, arguing, or physical contact with other children or the driver. Car/Booster seats are required for children under the age of 8. No eating or drinking is allowed in the shuttle. All transportation must be pre-arranged. Please, be sure to have your children ready at the predetermined pick up time. This will ensure that the shuttle stays on schedule. The driver can only wait up to five minutes from the original pick up time. Drivers cannot leave the shuttle unattended. Therefore, they will not announce their arrival by knocking or ringing the doorbell. Please have children come out to meet the shuttle when they see it has pulled up and stopped at their pick-up location. The driver cannot accept any itinerary changes. Please contact the Pink Bows Child Transportation office to notify of any last minute changes. We will do our best to accommodate. If parents wish to do so, they can meet their shuttle driver in advance by setting up a consultation visit before their services are scheduled to begin. 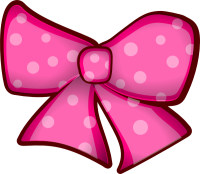 All Pink Bows Child Transportation Kids vehicles are maintained, cleaned, and washed on a weekly basis. Vehicles are inspected by a state licensed mechanic on a regular basis or by the Honda Company. Our vehicles are checked daily to ensure the highest quality of safety and security. For your children’s safety, all vehicles are equipped with seatbelts and car booster seats.